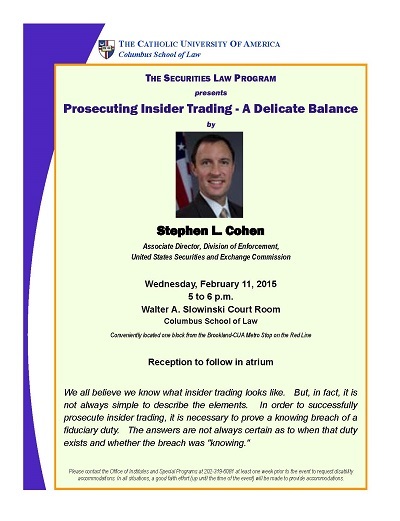 Stephen L. Cohen, an associate director in the SEC’s Division of Enforcement, explained what insider trading is, how the SEC has handled it in the past, and how court decisions over the years have affected how it can be prosecuted. Cohen, Stephen L., "Prosecuting Insider Trading: A Delicate Balance" (2015). Securities Law Program Lecture Series. 8.